There are 2 Lolo artists: The Lolo alias refers to a trance music producer, whose real name is Laurent V?ronnez. 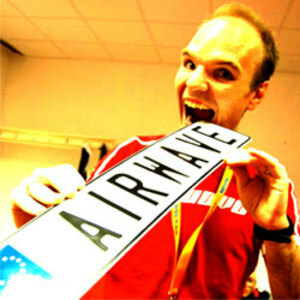 He is better known as Airwave, but he works also under many other pseudonyms. LOLO is also Lo Demanche, John Bergin, Dedric Moore, and Delaney Moore. other artists that go by the name lolo: lolo - bad idea (2002) lolo. the new digital chanteusse. seductive. melodic. haunting. down-tempo. trip-hop. The Lolo alias refers to a trance music producer, whose real name is Laurent V?ronnez. He is better known as Airwave, but he works also under many other pseudonyms. LOLO is also Lo Demanche, John Bergin, Dedric Moore, and Delaney Moore. lolo. the new digital chanteusse. seductive. melodic. haunting. down-tempo. trip-hop. all vocals and lyrics by lo, all music by john bergin, dedric more, delaney moore, and patrick mcbride.